With a Scandal writer attached. 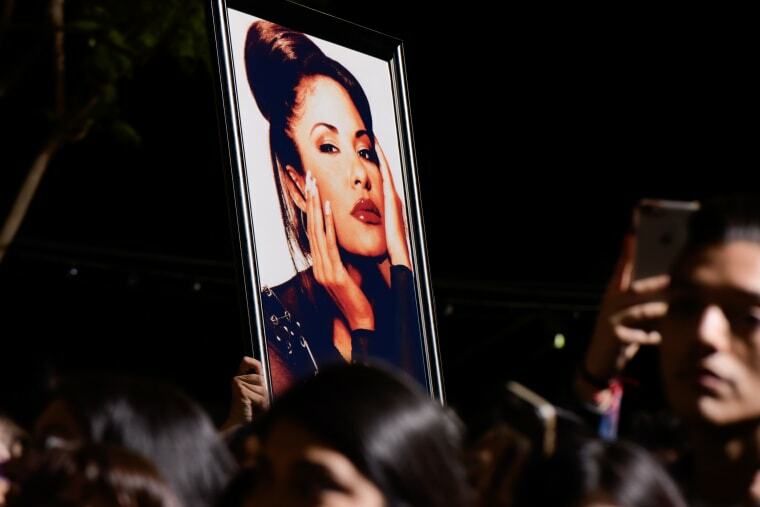 ABC has closed a deal on a drama based on the legacy of Selena Quintanilla, Deadline reports. The untitled project will be written by Scandal's Miguel Nolla, and executive produced by Scooter Braun. The series is being made with the cooperation of Quintanilla's father and sister, Abraham Quintanilla, Jr., and Suzette Quintanilla Arriaga. The series isn't autobiographical, but will draw on aspects of the legendary performer's life. According to Deadline, the plot centers around a "chart-topping, award-winning pop star" who returns home to her estranged family in Texas, where she's thrown into a love triangle, career hardships, and the "dark secrets" of her family. The series will reportedly have a heavy musical focus. Selena's self-titled debut album was released in 1989; six years later, she was tragically killed by a former president of her fan club. Her posthumous crossover album Dreaming of You broke records the next year when she became the first Latin artist to debut at Number 1 on the Billboard 200 chart.